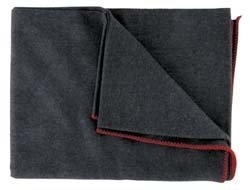 Warm, economical wool blanket perfect for emergency preparedness/survival. Great for car, home, and workplace emergency supplies. Wool’s natural ability to absorb and transmit water vapor can be of unique importance in maintaining comfort during survival situations. Product color may vary slightly from picture shown.